Are you planning on bringing your dog with you on your travels this summer? If so, you will need to make preparations ahead of time. Careful planning for your pet’s safety and care will ensure you both have a fun-filled trip each time you and your best friend head out! Visit the Veterinarian – ’Tis the summer season and time to schedule a checkup with the veterinarian if your dog hasn’t had one in a while. You will be able to make sure that all vaccinations are up to date, and find out if any booster shots are needed because of your travel destinations. Naturally you should make sure you have the latest and best tick and flea protection in place as well. Have the Appropriate Crate, Carrier, or Leash – If you are travelling by plane, you need a crate for your dog. If you are travelling by car, have some kind of restraint so that your pet isn’t loose in the car. Plane – If you insist on traveling with your dog by plane, you must make sure the country you want to travel to will accept your dog. Not all breeds are legal in certain locations! You should also make sure your dog’s crate is approved by the airline with which you will be traveling. The crate itself must be big enough for your dog to stand, sit, and turn around in, and it must be lined with bedding, such as shredded paper, to absorb moisture. Check with your airline to make sure you have the correct crate design as well as all the travel papers, health certificates, and vaccines needed if necessary. Car or Other Vehicle – It is not illegal, but it is recommended that your dog not be allowed to roam at will inside a vehicle because it can be very dangerous for both of you. In any accident, an unsecured dog can be injured, and even a small dog becomes a life-threatening projectile for humans. Dogs should also not be allowed to ride with their heads out of windows, and because they may decide to hop out of a window, even if the car is speeding down a highway. A dog crate or carrier or short leash should be purchased well before your trip and a few test drives taken. That way, your dog is not horrified by the restraint, especially if he or she is used to riding around unrestrained. Dogs Need ID – Proper identification is essential for traveling pets. Make sure your dog has an ID collar. However, collars can become undone and lost, so a good backup plan is to have an ID microchip inserted under their ear flap. All animal hospitals and shelters will check their files for ID chips in the event a lost or injured animal is brought to them. Bring along a photo of your dog as well. Plane – If you are traveling by plane, direct routes are best and decrease the chances of you and your pet traveling on different planes to different destinations! Car – Keep your pet in mind when planning your route so that the trip is not too long, there is an opportunity for little breaks, and your dog will be welcome when you stop for the night and when you reach your destination. There are websites devoted to finding dog-friendly hotels, motels, and beaches. Make sure you have your dog’s leash and collar, enough food and water, dishes, poop bags, toys—including some for the trip—a towel, a bed or blankets, medical records, a cleaner for accidents, and any medication your dog requires. Treat Bag – Make up a little bag of dog treats to take on your trip. Dog Medical Kit – Smartphone owners can find a free app for phones with medical advice, and you can buy a first aid kit for pets or make your own. At the very least, program the numbers of animal hospitals and an animal poison control center into your phone, or take a list of important numbers. Whether you’re both taking a trip by car or plane, you need to keep your dog as safe as possible by planning ahead. Don’t leave your dog alone in the car. Heat stroke is a common preventable danger in the summer and most likely to occur if you leave your dog alone in the car and are delayed on your return. It can also happen if you are with your dog in the car and exposed to sunlight for a long time. Be sure and check on his or her comfort now and then. Use the leash when leaving the car. The taste of freedom after traveling in the car can cause even a well-behaved dog to run, perhaps across a busy road or street. Attach your dog’s leash before opening any doors. Take sensible breaks. Stop for 15 or 20 minutes every three or four hours to enable your dog to have a little exercise and a pee break when needed. Place crates, carriers, or leashed dogs in the back seat. You may like to have your best friend up front beside you, but it is a distraction for you and is not as safe for your dog. Use an Organizing Bag in the Car – Keep all your dog’s supplies in a carrier bag so that you can quickly find everything you need for your pet without delay. Food. Tape a little bag outside your dog’s crate with a bit of dried food or treats so he or she can be fed if there is a delay in the trip. Don’t lock the door. Close the crate door tightly, but don’t lock it in case airport personnel need to take your dog out in an emergency. Delays. If there are serious delays, request firmly that someone check on your dog’s safety and comfort. Summer is a great time to travel with your dog! With a little preparation, you can ensure a fun-filled and safe trip for you and your four-legged best friend. Pet Boarding vs. a Pet Sitter—Which is Better for my Pet? Have you ever felt guilty for leaving your cat or dog at home when you have to travel? Whether it’s for an overnight trip or lengthy trips for business or pleasure, we’re sure you’ve had to struggle with deciding whether to choose pet boarding versus a pet sitter to care for your fur baby. For those who have to make this decision for the first time, it is okay to feel anxious. To help lessen the stress for you, we recommend you consider the advantages and disadvantages of the kinds of care available before deciding. Your cat or dog can be boarded at a kennel or a veterinary hospital or clinic that offers boarding care for pets, or can be cared for by a pet sitter. The prices are scaled to the type of environment, the amount of individual care offered, and any add-ons that you choose. Veterinarian Facility – A veterinary boarding facility can provide a scrupulously clean and safe environment, and healthy animal companions for your pet who will all have their vaccinations up-to-date. Pets are professionally monitored for signs of illness or problems. 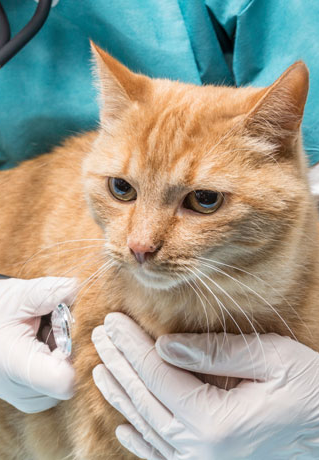 If your cat or dog requires health care, it will be provided. Kennel – A kennel can also provide very suitable boarding care and prices vary. Do your homework and be sure to have a thorough understanding of the type of individual and group care offered and the safety measures you can expect. Pet Sitter – The least expensive care is available from a pet sitter, with the sitter taking your kitty or pooch to his or her home for the duration, or moving into your home, or simply making daily visits for feeding, playtime, and walks. The costs vary depending on which services you need. You can arrange for a pet sitter to visit your home a couple of times a day to feed your pet, take them out on walks (if they’re a dog), bring in the mail, and give your home the appearance of being occupied. Cats, in particular, are usually happier in their own homes and may get stressed out when boarded. However, even an independent cat can become troubled if left entirely on their own and usually needs human contact, even if it’s just a daily visit by a pet sitter for feeding and playtime. If you have a sitter move into your home, you have the added expense of providing meals, but it is still less expensive than, say, a pet hotel. Also, most pets are happier in their familiar surroundings. You can hire a trusted family member or neighbour as a sitter, but if that doesn’t work, hire a professional. Check their references and make sure the pet sitter is insured and bonded. Pet boarding is a good idea for cats and dogs who are more adaptable to change and will enjoy the companionship of others. However, if your pet isn’t very open in terms of being around people and other animals, or exposed to new experiences, or is old and less sociable than he or she was, they will probably be happier with a sitter. Be sure and check out the choices of veterinary facility accommodations. Interview the caregivers, tour the facilities, and ask for references. There may be such advantages as supervised cage-free running around and lots of playtime with other animals. You may find that your cat or dog loves the boarding experience when he or she is young but not so much when they age. However, if they are older and troubled by arthritis or other conditions, you may have more peace of mind and be happy to be able to board them in a veterinary facility with trained medical people watching over them. When deciding who will look after your kitty or pooch, factor in their age, personality, and physical limitations. Interview caregivers, do background checks, give complete instructions, and have a backup plan for emergencies. Leave the family’s vet clinic contact info with whoever is caring for your pet, in case of an emergency. If you do your research and set high standards, you will enjoy peace of mind knowing that your fur baby has the love and attention they need, no matter what your decision. https://hastingsvet.com/wp-content/uploads/2017/08/Pet-Boarding-vs.-a-Pet-Sitter-Which-is-Better-for-my-Pet.jpg 483 724 Hastings Staff https://hastingsvet.com/wp-content/uploads/2016/05/logo.png Hastings Staff2017-09-05 12:54:592017-08-30 10:08:29Pet Boarding vs. a Pet Sitter—Which is Better for my Pet? With summer in full swing, now more than ever you need to protect yourself from sunburn and overheating. Don’t forget to include your pets too! Just like their owners, cats and dogs can become overheated if you’re not careful, as they show that they’re overheated and in need of care in slightly different ways. If you’re not too sure about the hazards of hot weather for pets, read on! Here are some signs of heat-related problems in pets, some pet care tips you can apply for less serious situations, and how to tell it’s time to bring your overheated pet to a veterinarian. Heat exhaustion (hyperthermia) – not to be confused with hypothermia, which involves being too cold. Hyperthermia, or heat exhaustion, can happen if your pet runs around too much under direct sunlight. Dehydration is another way to describe heat exhaustion since they both involve being overheated and thirsty. Heatstroke – heatstroke is far more dangerous than hyperthermia, with long-term effects such as brain damage and other organ damage taking place. This is why we are determined as a local vet office to highly discourage leaving your pets alone in a hot, locked car, because heatstroke is often the result of doing so. Basically, if you’re feeling thirsty, then it’s likely your pet is also overheated and needs to be given prompt attention. Some cats may not be outside as often as dogs are, but they too can only sweat through their paw’s glands and with their fur it’s tougher for them to cool off. Preventative care against the heat should be given to both indoor and outdoor cats. Give your pets easy access to their water bowls and always ensure their water is clean. If you must bring your pets with you on your travels, bring bottles of water and their water bowls so they can have a drink while you’re travelling. Make sure they have a cool place to retreat in at home where the air conditioning is switched on. Provide easy shading from the sun in any outdoors areas as well so they can rest. Keep your dog walks short and brisk, and give them water afterwards. Should you see any one or more of these signs in your pet, call your veterinarian office and bring them in for emergency treatment. On your way to the office, try and help cool off your overheated pet with lukewarm water (not freezing cold, as this may shock their body to the point where it hurts them more!) using a damp cloth or towel. Gently apply the wet cloth to their paw pads and nose on your way to the office. Keeping the heat off both you and your pets will ensure you both have a safe and happy summer! https://hastingsvet.com/wp-content/uploads/2017/08/Beat-the-Heat-with-Our-Summer-Pet-Care-Advice.jpg 483 724 Hastings Staff https://hastingsvet.com/wp-content/uploads/2016/05/logo.png Hastings Staff2017-08-18 12:50:312017-08-18 12:16:30Beat the Heat with Our Summer Pet Care Advice! Summer is in full swing now, and you know what that means: it’s time to go camping! If grabbing your tent and venturing out into BC’s beautiful wilderness is high on your must-do list this summer, then you know how much fun dogs will have while they’re with you in the great outdoors. That being said, caring for your dog while camping is just as important as it is at home. They are perhaps even more prone to accidents while in the outdoors and playing. They’re put at higher risk if somehow there’s an emergency and not a single veterinarian office is in sight. Summer should be enjoyed by both you and your pooch! Whether you’re going out in an RV or packing along a tent, these tips will ensure you will enjoy your camping trip while caring for your dog this summer. Not every campground in Vancouver or BC accepts dogs, and not every beach is dog-friendly. Many areas are inaccessible to dogs in order to protect the natural wildlife. You can avoid unwittingly destroying BC’s natural beauty, avoid receiving a penalty fee, and avoid the humiliation of being asked to leave the campground by doing a quick Google search. You can also try contacting the campground owner directly if you’re not sure. Be aware that there may be regulations for dogs even in the more dog-friendly areas, which again are in place for a good reason (for example, preserving the wildlife). Don’t forget your dog in your camping trip’s packing itinerary! As well as food, water, and their food and water bowls, you should try and bring dog-friendly and environmentally-friendly shampoo or dry shampoo or wipes to help wash off the dirt and debris they may roll around in (after all, that’s all there is out in the forest!). Bring along their favourite toys as well as a Frisbee for hours of fun for both of you! Just like anywhere in the city, pests like fleas, mites, and especially ticks can find their way onto your pooch in the wilderness. We highly recommend you come to your veterinarian to receive and apply any oral or topical solutions for pests before you go anywhere on your travels. The best treatment for ticks is prevention! In the event you find a tick on your pooch, or see any signs and symptoms of an infected bite in your dog, come immediately to the nearest dog hospital for treatment! Behavioural problems are a biggie for dogs this time of year, as they won’t understand that there are rules of conduct for dogs outside of home for a reason. Teach your pooch the basic commands—“Come”, “Sit”, and “Stay” should always be followed by their name. Keep a sharp eye out for hazards while on your trip, such as broken glass on trails or campfire embers getting too close for comfort. Also be sure they don’t jump onto random passersby if they’re dirty or have been swimming. Some of these plants are not only toxic to dogs but also to humans, and can cause some severe allergies! It’s unfortunately true that not all breeds of dogs make for great camping trip companions. There are breeds, specifically the snub-nosed variety of bulldogs and pugs, who are going to require extra attention and care while you’re camping. Why? Because the way their snouts are formed makes it tougher for them to cool off, and they may have more difficulty in breathing and panting. You need to make sure you’re both hiking and camping in areas that are very shady, if your favourite pooch is a pug or bulldog. Always, always provide them with water and put their bedding in a shaded area so they can cool off or rest. Keep dogs with dark or black-coloured coats cool and in shaded areas. Keep hairless, short-coated, and light-coloured or white-coated dogs protected from excessive sunlight, as they have less protection from prolonged exposure to the sun. Basically, any safety tips that apply to you such as protection from the sun and from toxic plants or other dangers will apply to your dog too. By using common sense, you can easily prevent further harm to both of you and above all, have fun on your camping trip! Bon voyage! When the temperatures soar this summer, you can help your pets chill out and stay safe using our cool ideas! (Pun intended.) While some of these ideas are useful for both cats and dogs, we also have some dog-specific tips as well as cat-specific tips. We’re also including a handy checklist to help you spot the signs of dehydration in pets. Dogs – Dogs are particularly prone to becoming overheated because they don’t sweat. Instead they regulate heat by panting and by the few sweat glands in between their toes. Dogs are often exposed to such danger because of how often they’re included in family outings, shopping trips, outings to the park and the beach, and on walks in general. If it is extremely hot, it’s actually better to leave your dog at home and keep their walks short. Stick to being in the shade as much as possible and go out during cooler times of the day, such as early morning. Cats – Cats have sweat glands on their paws and a few on their bodies as well, although they don’t help cool them very well through their fur. However, cats are usually left at home rather than being taken on family outings and aren’t usually taken on walks. Even so, they also need protection from the heat whether they’re indoor or outdoor kitties. Pets in Vehicles Awareness – No pet should be left unattended in a vehicle in the summer. The car or truck is a heat trap and, even with all the windows cracked open, temperatures can climb to dangerous levels within a few minutes. For more tips on the subject check out our pets in vehicles-centered post. Water Supplies – Make sure fresh water is always available. Keep water bowls in the shade and secured so they won’t spill. Bring portable water and water bowls for dogs with you while you’re on the go. Cats—especially outdoor cats—should have multiple bowls left around the house or yard during hot weather. Put a few ice cubes in your cat’s water bowls to help keep them cool as well as hydrated – some kitties love to play with ice anyway! Shade– Make sure outdoor pets can find a shady spot in the heat of the day. Construct one if necessary. When indoors, pets may enjoy lying on tiles wherever they can find them. Check outdoor buildings before closing doors as a cat may seek shelter inside and become dehydrated because they can’t get out. Air Circulation – Cool air helps pets feel more comfortable. If your pet is indoors, open a window and put a fan on a low box near it. If there is no cooling breeze, create one by putting a frozen water bottle in front of the fan. Cool Him Down – A cool wet cloth rubbed gently over your cat can help cool them down; a dog may enjoy a light spray from a mist sprinkler or cold packs wrapped in towels. Don’t assume a dog instinctively knows how to swim and he or she should be watched carefully around a pool or lake. Standing in a tub of cool water can be refreshing for a dog but don’t use ice water as it is dangerous to cool them too quickly. Exercising Dogs – Alternate between grass, asphalt, and sidewalks when walking your dog. Booties may be needed if you can’t avoid the asphalt. Choose the coolest times of the day (usually early morning or late evening) for walks and don’t play chase games when it is really hot, as dogs don’t know their limits. Bulldogs and other flat-faced dogs have more difficulty breathing than other dogs when they get hot or when exercised in hot weather, thus it is especially important to make sure these dogs are kept cool. Dehydration is dangerous for pets and can quickly turn into life-threatening heat strokes. If you see any signs, get help. A pet suffering from dehydration may have difficulty swallowing water, but a veterinarian can quickly and safely hydrate a pet. Dogs will pant excessively and, when a cat begins to pant, he or she is already overheated. Dogs and cats will have increasingly thick, sticky gums and saliva, and will drool as swallowing becomes more and more difficult. They will vomit and lose interest in food. A dog’s eyes will become sunken, their urine will be dark, their skin will lose its elasticity, and they’ll be wobbly on their feet. Dogs and cats will become increasingly lethargic and unwilling to move. Get help from your veterinarian pronto before these symptoms become worse! The next stage is heat stroke and progressive illness can occur. Try to keep you and your beloved pets cool this summer. Try using healthy exercise options, make sure they get plenty of water and shade, and protect them from excessive heat. They will love you for it! Did you know that not only is it dangerous to leave your pet alone in a locked car but also it can be deadly? It only takes a few minutes for your dog to pass out from heat stroke or dehydration if they’re left in a locked car in temperatures as low as 20 degrees Celsius. Yet the shocking and saddening reports of finding these distressed pets seem to continue to spike once summer arrives. We know you love your pet very much, which is why for both your sake and theirs, we want to help you both stay cool and comfortable. Here are some summer safety tips that you can use when travelling with pets in cars during the hottest months of the year. The single most important danger of car travel is leaving your pet alone in a parked car, even if you only need to go into the grocery store and pick up a few items. On a hot summer day, temperatures can quickly soar and turn the car into a furnace. Your pet can develop heat stroke even if the car is parked in the shade with the windows cracked open. Most cats hate car travel, which means you should make an effort to get your kitty used to a carrier and short trips before taking them anywhere on a long car trip (if you have to), or you’ll both be miserable. A pet may seize the opportunity to escape from a car if they’re loose and a window is open wide enough, which can be deadly if the car is moving. A pooch may decide to run away when you are taking them out for a walk, or they may quietly exit unnoticed from the car when it’s stopped and you unknowingly drive off without them. Although there is no law demanding that pets travelling in cars be crated or secured, they are a danger to you and to themselves if your car is in accident or if you have to brake suddenly and a pet is loose in the car; you could both be injured severely. When travelling by car, make sure your pet is secure, either in a well-ventilated carrier or crate, or with a harness attached to seat buckle. It may look cool for your dog to travel with their head out the window and they may enjoy looking out of moving cars, but accidents can happen. Make sure crates and carriers are soft sided and made of wire mesh or hard plastic. They should be big enough for pets to stand in, lie down, and turn around. Secure crates and carriers in the car to make sure they can’t slide around if you brake suddenly. See that your pet is introduced to the carrier or crate in your home and is used to wandering into it to get treats. Take some short trips in it before you embark on any long-distance travel. Your pet should be in the back seat, not in the front beside you, crated or not. You can stick to a normal feeding schedule, but don’t feed them while the car is moving. Ask your veterinarian to insert an ID microchip under your pet’s skin. It is a quick, painless procedure that ensures that you will be notified if you become separated on the trip and your pet is found and taken to an animal hospital or a shelter. In addition, your pet should wear a collar with your home address as well as a temporary travel tag with your cell phone number and destination address. Prepare a travel kit for your pet with food, bowls, a leash, poop-scoop bags, medication, and a favourite toy or two. Bring bottled water or water from your home stored in plastic jugs. Offer them water frequently and make sure it’s available at all times. Again, we do not recommend you leave your pet unattended in a parked car. Check frequently during the drive to make sure your pet isn’t exposed to the sunlight for long periods of time. Whether it’s a short trip to buy groceries, you’re heading out for a camping adventure, or you’re embarking on a long trip that takes place over several days, we hope you and your pets have a happy and safe summer vacation! Happy Mother’s Day! We hope you have a very pleasant weekend with all the great moms in your life. It’s important to not forget about your other, four-legged family members though – your pets! We know there are lots of places to take your mom out for brunch, but many restaurants and areas in Vancouver do not allow dogs upon entry, which means leaving your pets at home…and that can be really tough on mom if it means she can’t celebrate the holiday with them. That’s why we’re here help you worry less about leaving your pets out of the picture and try to give everyone a great Mother’s Day where everyone is included. Here aresome ideas on where to spend Mother’s Day with your pet or pets so they’re not left out from the fun! Stanley Park features a dog park that is perfect for exploring no matter what the holiday or reason! Located just off Lagoon Drive, dogs can go off-leash and play and run to their heart’s content in the fenced, gated area within the shuffleboard court area. Bring mom and her favourite pooch here for a game of catch! The park is open from 7am until 9pm, which provides ample time for everyone to run, play, and relax. On the western side of this beach, about 200 meters away from the main building, is a spot where it’s perfectly safe for your mom to lounge and bask in the sunlight or to toss your dog their favourite ball or Frisbee around off-leash. Spanish Banks also has many other amenities such as a concession and volleyball courts. Barbecues are also allowed on site and there are picnic tables around, so by all means pack and bring a picnic basket with you! If the weather is nice enough, this beach in between Granville Island and Kitsilano Beach, just steps away from the Vancouver Maritime Museum, is a real doggie heaven for your mom’s favourite pooch!This is considered to be one of the nicest beaches in the city and dogs have full access. Quilchena Park features lots of wide open green fields as well as giant Poplar trees, making for a pleasant stroll throughout. Sports fans can come play a round of golf, there are skateboarding areas and a playground for the kids, and of course mom can bring her favourite doggie here to the off-leash area. This park is not to be confused with Quilchena Neighbourhood Park, which is located in the City of Richmond. Quilchena Park itself can be found off of West 33rd Avenue and Granville Street. Sunset Beach is very close to the seawall and the Vancouver Aquatic Centre around West and downtown Vancouver, and it too features an off-leash area, so don’t worry about leaving Fido behind if you want to take your mom there for a day trip! There is immediate access to the False Creek Ferry pier if you’re planning on arriving to or from that destination, as well as a concession and volleyball courts to play around in. Sunset Beach is located at the mouth of False Creek on Beach Avenue, between Bute and Thurlow. From all of us at Hastings Veterinary Clinic to you, we hope you, mom, and of course her favourite pets all have a very happy Mother’s Day weekend! Now go out there and have some fun!